You'll find the entrance of Mother Goose on the Telingstraat, a small alley of the lively Ganzenmarkt. When facing the hotel and the below-situated Ubica restaurant, the Telingstraat is located on your right-hand side. We are located right in the heart of the city. Only a stone’s throw away and within walking distance of the iconic Dom Tower, many other must-see attractions, great shops and Utrecht Central Station. We're here for you, always! 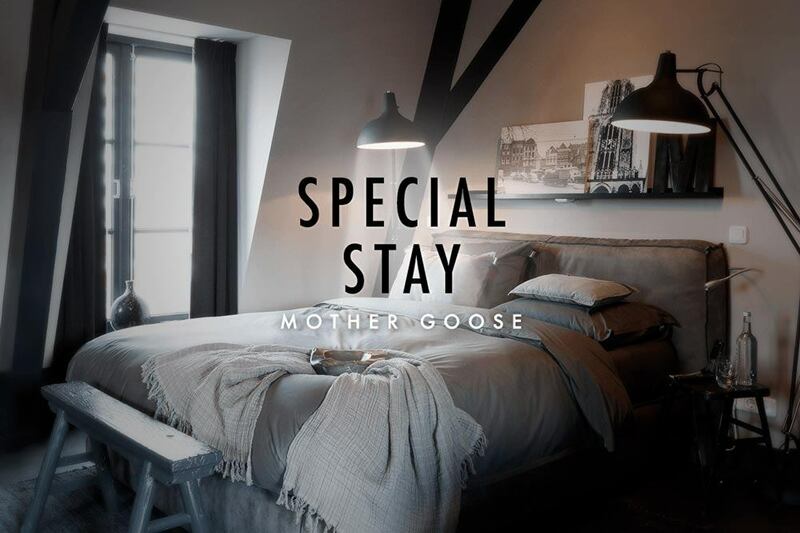 Mother Goose is situated within walking distance from Utrecht Central Station. There are many busses which take you to Mother Goose, by getting off at the Neude bus stop. Cross Neude Square into the Schoutenstraat (left side of the Neude) to Ganzenmarkt. The entrance of Mother Goose is situated in the Telingstraat, which is a small street on your right hand side when facing the building. Below you will find the nearest car parks. We advise you to travel by public transport because Utrecht city council employs a policy of deterrence when it comes to cars in the city centre. Therefore, Mother Goose is difficult to reach by car. Reservation of a parking space is recommended due to the limited availability. Simply drive up to the gate and announce your name to the speakersystem. Our receptionists will buzz you in! Kruisstraat 2, 3581 GK Utrecht | Parking fee: € 35,00 / 24 hours. Sint Jacobsstraat 1, 3511 BR Utrecht | Parking fee: € 30,00 / 24 hours. Strosteeg 83, 3510 VK Utrecht | Parking fee: € 36,00 / 24 hours. Of course, Mother Goose is more than happy to help you plan your trip, so if you have any questions, please feel free to contact us. Mother Goose offers two options for an airport pickup: a regular taxi or a Tesla Cab. From and to the airport, Mother Goose works with Tesla Cabs. Your journey from door to door will be in an electric Tesla, enjoying all the luxury the Tesla has to offer. A table for your laptop, a bottle of water and Wi-Fi guarantee a smooth ride for you to enjoy the view or answer some emails. Exclusively for Utrecht City Hotels guests, there is a special fee of € 109. Please let us know if we can make a reservation for you.